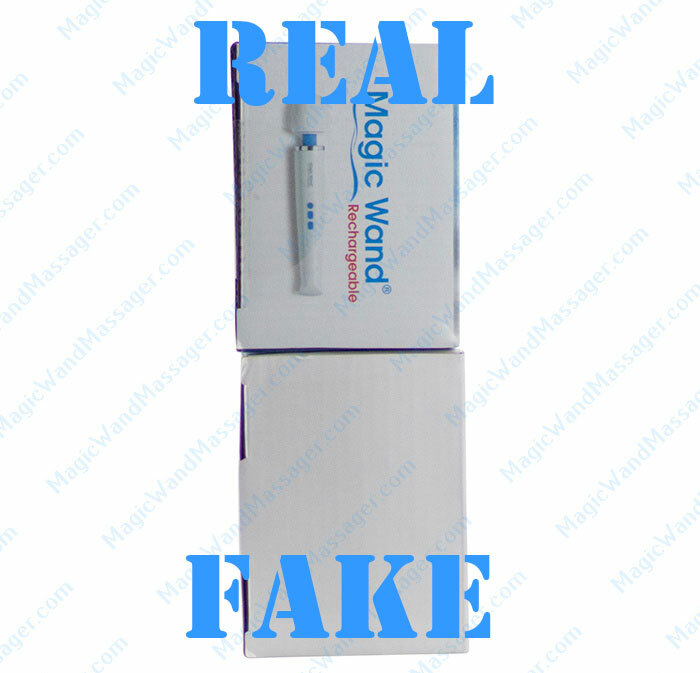 We have been on a quest for a long time to show the differences between the real Magic Wand Rechargeable, model HV270, and a replica version purchased from marketplace websites such as Amazon, eBay and others. For the record, marketplace websites have no immediate part in this comparison as they are merely the platform which allows sellers worldwide to participate in commerce. We will also say that most of these marketplace websites do appear to have processes in place to reduce the number of replicas being sold. This is done by verifying seller data, seller history and other data. 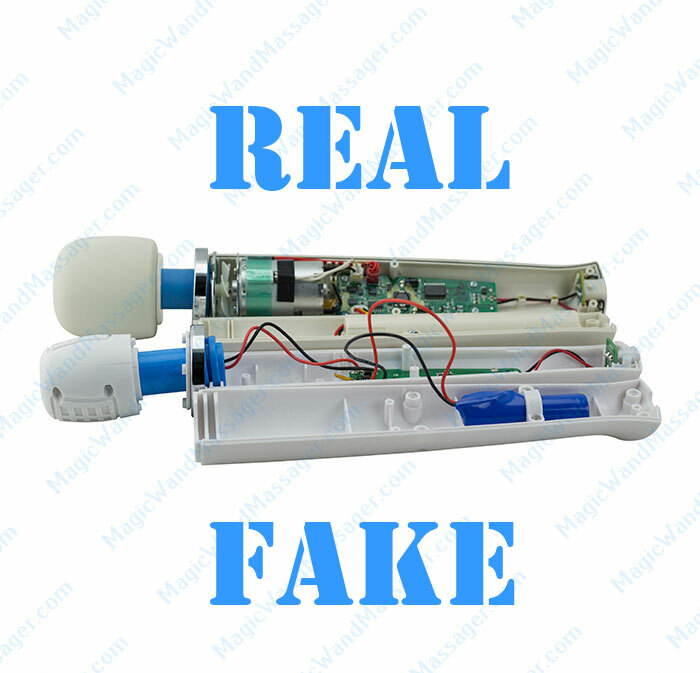 The information presented below is an opinion of ours on what separates a real vs fake Magic Wand Rechargeable. 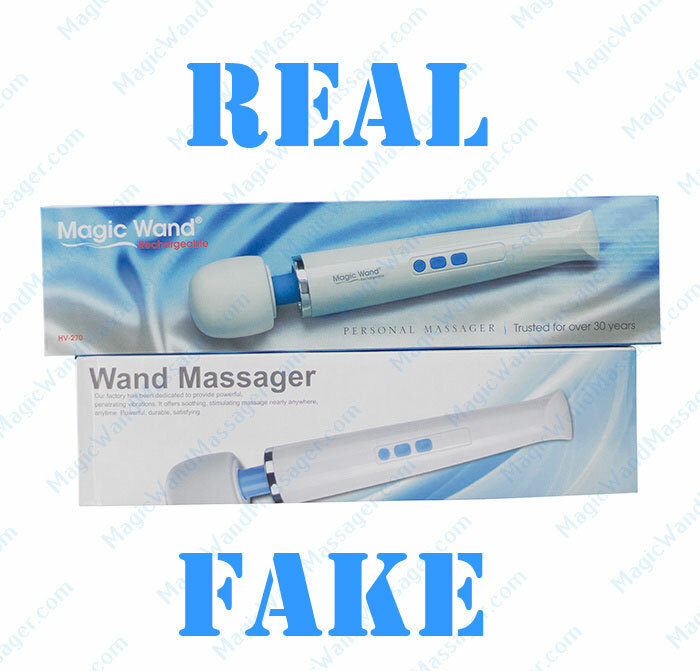 For full disclosure, we only sell authentic Magic Wand Massagers and if you want to save a TON of time by purchasing an authentic device without doing extensive research, you can buy one here. If the internet makes you skeptical and you need to do some digging around on your own, we understand and have created this in depth review for fine folks such as yourself. 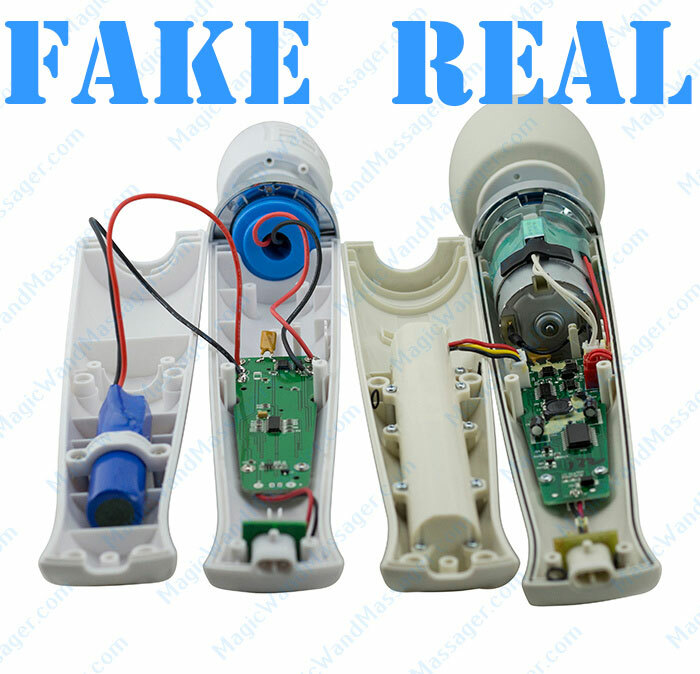 To break down the intent of this review, we purchased a replica Magic Wand Rechargeable massager from a few of these aforementioned marketplaces to evaluate the differences of a real vs fake Magic Wand Rechargeable in great depth. We hope customers will appreciate this education and use this knowledge to make an informed decision. The power of the Magic Wand’s have always been one of the best qualities of these devices. More power = More Fun in most scenarios. To start off our review, we evaluate the differences between the power of a Fake Magic Wand Rechargeable versus a Real Magic Wand Rechargeable with a simple water test. The idea of this test is simple because we partially emerge the head of these devices into the bowl of water and go through all 4 speeds to show viewers which one makes a larger splash. Larger splash = More Power. More Power = More Fun. Simple right? This second video below will show the real magic wand cordless massager cycling through the 4 speeds as well. You will notice something amazing right away. Did you catch it? Notice how speed 1 of the real massager is already stronger than speed 4 of the replica! Also, speed 4 on the authentic device is violently pushing water out of the bowl which means the vibration power is much more intense then the replica. Remember, More Power = More Fun. Let us jump right into the pictorial section of the review which will visually show the differences related to these devices. To make it easy, we have placed the word “REAL” or “FAKE” appropriately by each image to assist you in identifying which one you have or want to know about. 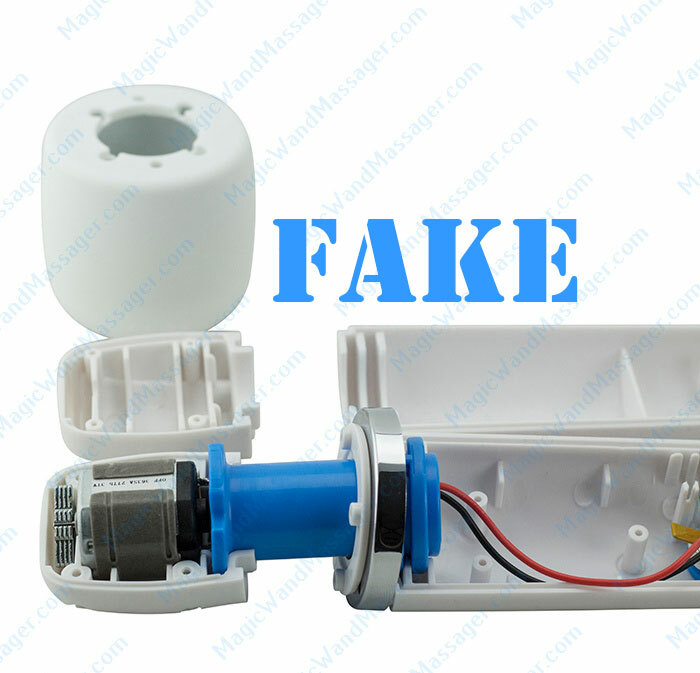 As you can see on the back section of the fake massager below, there isn’t any information such as the barcode or other pertinent information often found on authentic devices. 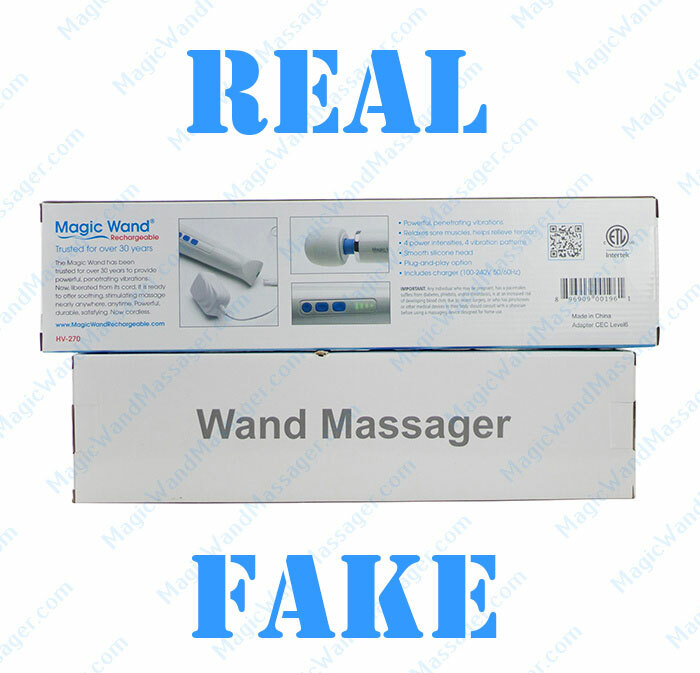 It is worth while also noting that the fake box refers to the massager as “Wand Massager” while the real version refers to the device as the Magic Wand® Rechargeable. Please note the additional blank section of the box in the image below. This is quick give away for any replica product. When the manufacturer doesn’t put in the time to label the product well, how do you think they will manufacture it? 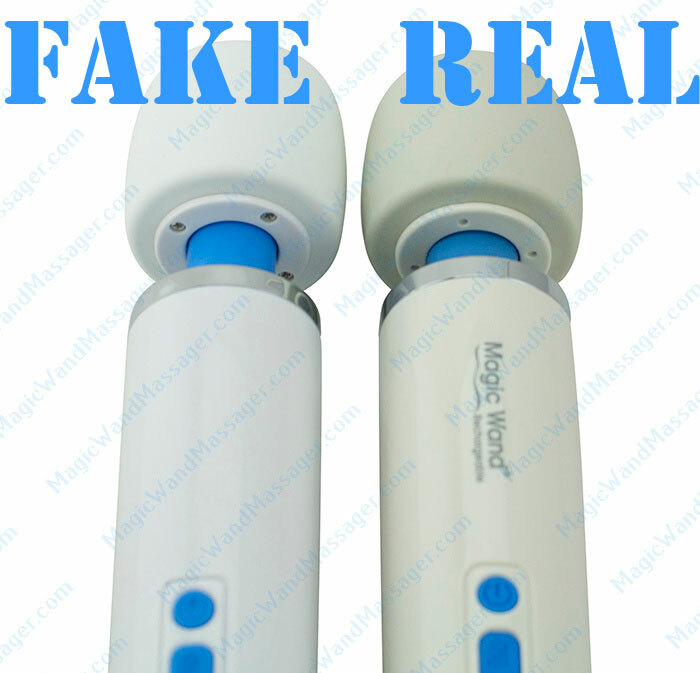 As you can tell on the fake massager box below, there are multiple colors listed on the box portraying the image that the Magic Wand Rechargeable comes in different colors. This is absolutely not true. 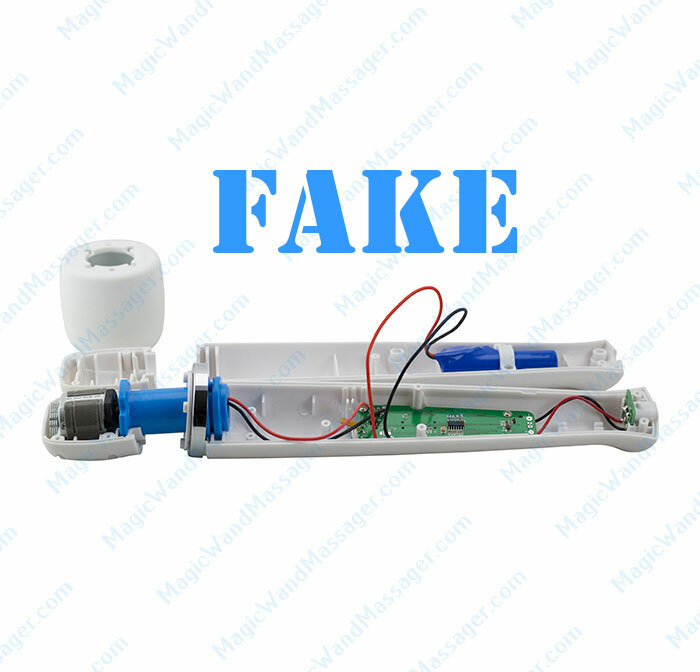 The Magic Wand Rechargeable, model HV270, only comes in one color scheme which is the classic blue and white design. Jumping right into the internal packaging section of our review, you can see that the real Magic Wand Rechargeable has excellent packing materials and fully protects the device from bumps and bangs due to the shipping process. Also, the charging adapter has its own box and is protected from the rest of the unit. Comparing this packing process to the fake version of the Magic Wand Rechargeable, you can see how the replica manufacturer just threw in the massager, charger and manual in a bag and stuck it in the box with no internal packaging to protect the device against bumps and bangs. No bueno! 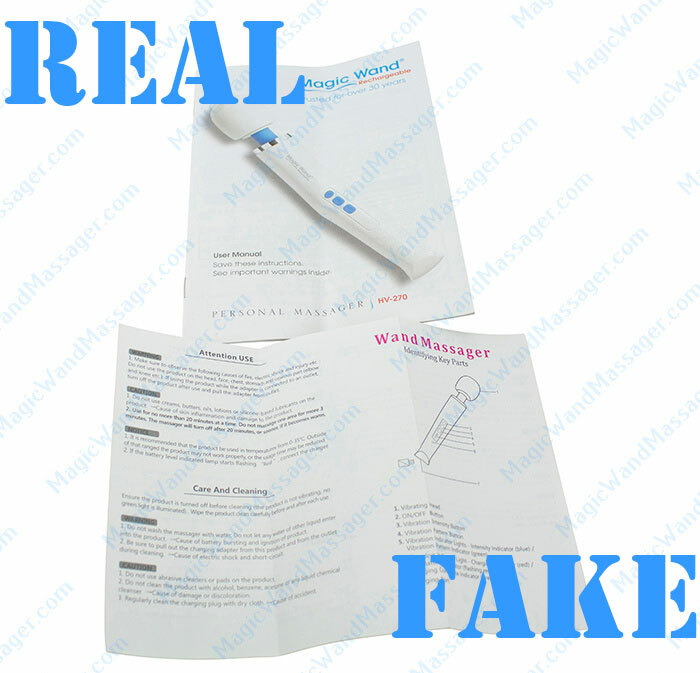 Take a look at the owners manual of the real vs fake Magic Wand Rechargeable below. You can see how much effort and time went into the real device manual compared to the replica wand massager manual. Not to mention, the real magic wand rechargeable comes with a full 1-year warranty which is referenced in the owners manual in addition to the safety practices on how to use this device carefully. It’s easy to see how one provides a book of information while the other just provides a quick summary of the features. 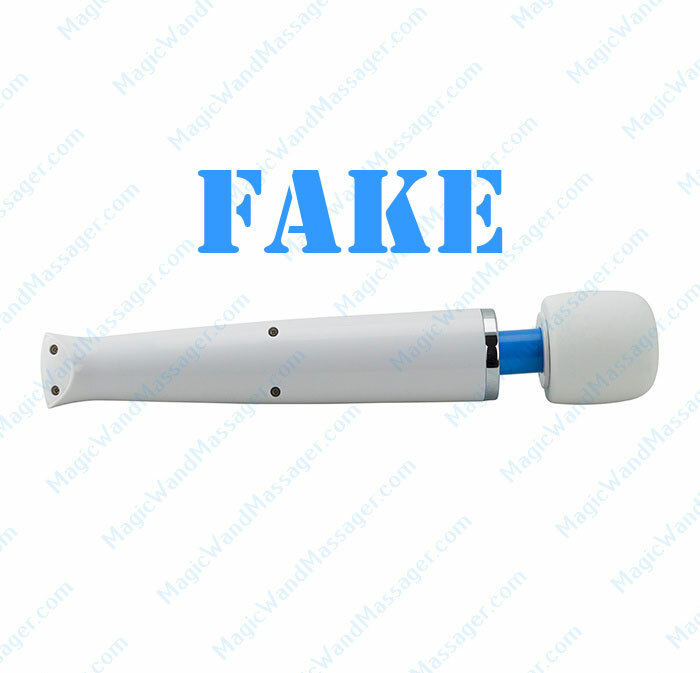 Starting with the fake massager first, you will find a visual demonstration below of what to look for in a fake magic wand rechargeable. You will see that there is no logo on the massager itself labeled “Magic Wand Rechargeable”. Now take a look at how the authentic Magic Wand Rechargeable looks. It’s impossible to tell from the picture below but the weight of this device is much heavier than a replica. This is due to the fact that the authentic Magic Wand Rechargeable uses a heavy duty motor which is housed inside the body of the massager instead of in the head of the massager. More to come on this and the internal parts below. 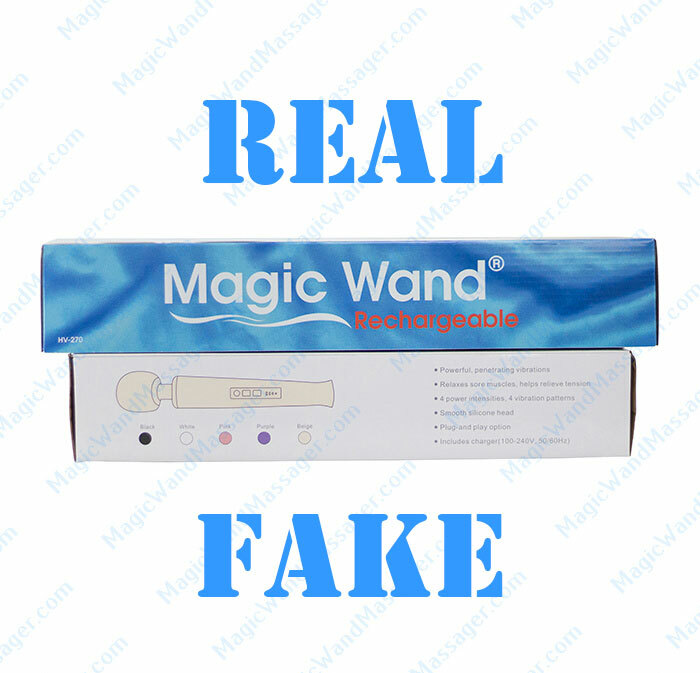 Notice the metallic label on the back of the authentic Magic Wand Rechargeable below? This label will have the ETL certification and other pertinent information from the manufacturer listed. 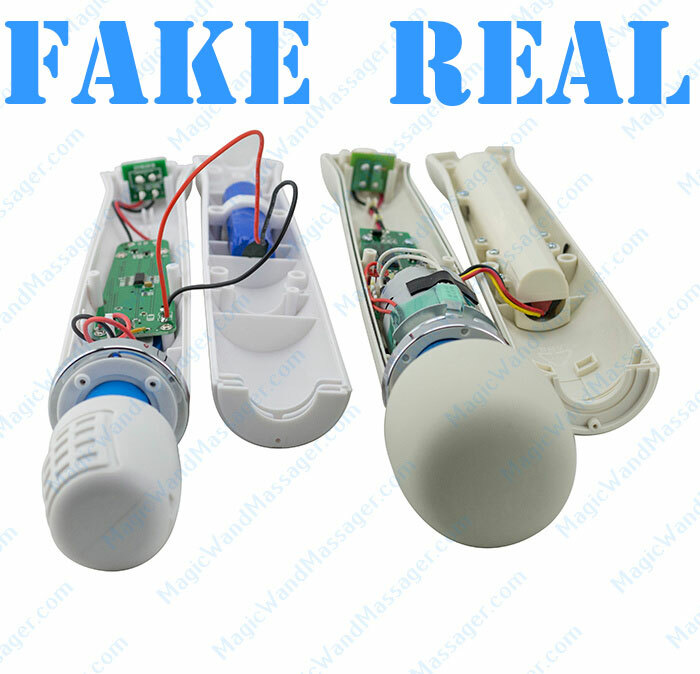 Here is a side by side comparison of the authentic Magic Wand Rechargeable versus the fake version. You will notice how the authentic device is more of an off white color instead of a bright white color such as the replica shown below. The buttons and head of these devices are very similar and difficult to tell apart unless you know what you are looking for. Both of these devices will look similar at first glance. The easiest method of telling a replica from an authentic Magic Wand Rechargeable is the weight. We will get to the weight of the device further down to show you what a real cordless magic wand should weigh. 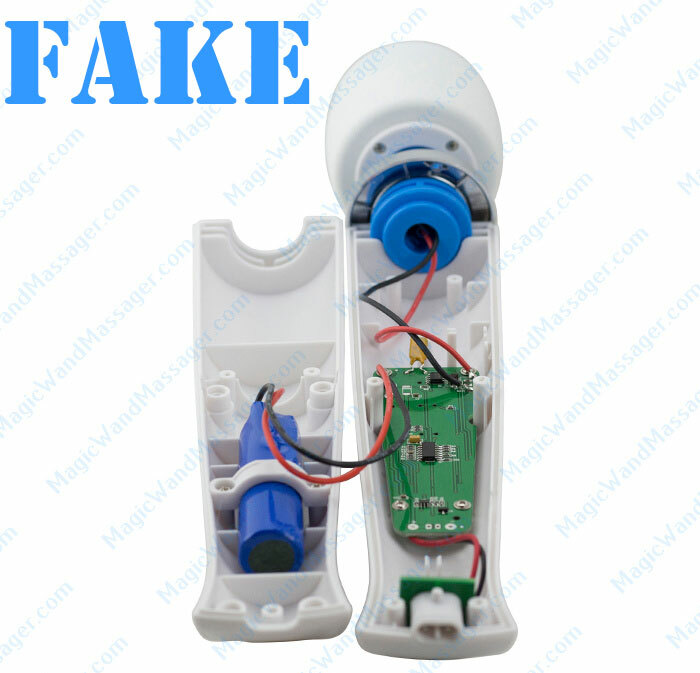 Notice in the picture above and below that the real Magic Wand Rechargeable doesn’t have exposed screws showing under the head of the device while the fake version does. This is a sealed design which allows the professionals to service the Magic Wand versus anyone unscrewing it with a common screwdriver. The length of these two devices are about the same at approximately 13 inches in length. Now let’s take a look at the internal parts of a fake Magic Wand Rechargeable. As you can see from the images below, the motor is NOT in the body of the device which is what replica manufacturers usually do to save money. They make the head of the massager house the motor which allows them to put in a smaller, less powerful device. This also makes it much cheaper to manufacture. When viewing the replica images below, you will notice how there is just one small circuit board with a small battery pack and wires that lead to the head of the massager which contains the small motor. Notice the size of the motor in the head below. You won’t be able to see exactly how small it is in this picture below but when you compare it to the motor of the authentic Magic Wand Rechargeable, the difference will be very clear. Also, the silicone head came off this device by removing some screws and a little elbow grease. Now let’s take a look at the internals of a real Magic Wand. See the intricate design of the circuitry? Look at the size of the battery inside the device (left side blow) and the size of the motor (right side above). You can tell right away that there was some serious design and craftsmanship put into the making of this Magic Wand Rechargeable. With this view below, you can see the giant size of the motor and start to understand why the Magic Wand massagers are known for their power and quality. 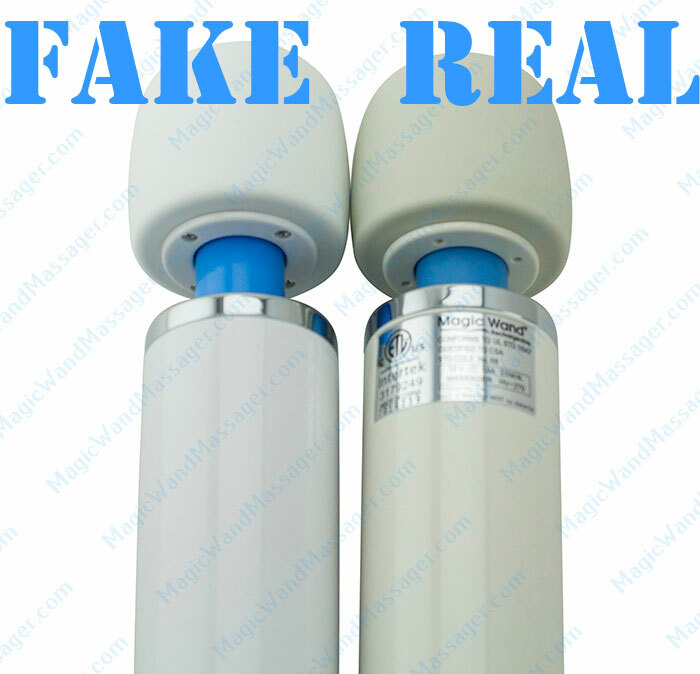 Let’s look at a side by side comparison of the real vs fake massagers. 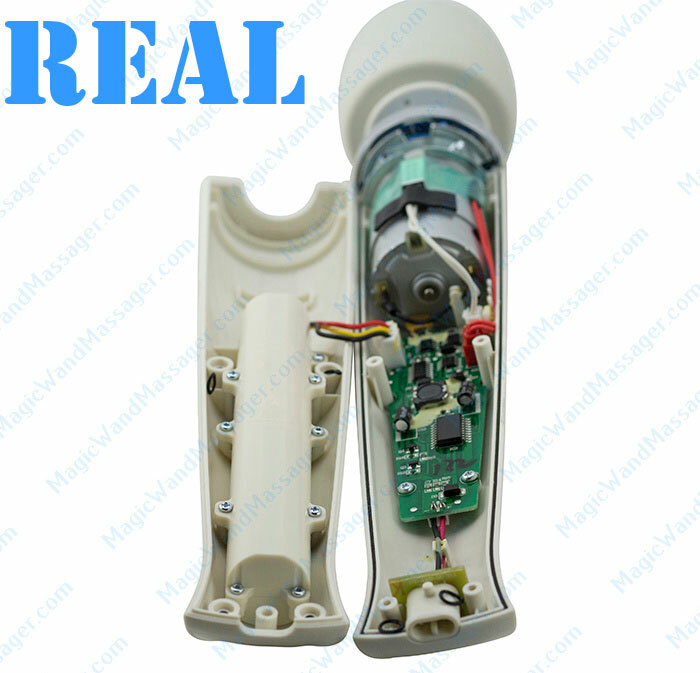 With the image directly below, you will see how the head of the replica massager comes off while the head of the authentic Magic Wand Rechargeable does not. Remember, an authentic Magic Wand does not have exposed screws on the bottom of the head which doesn’t allow you to pop off the head unless you have the appropriate tools. Look at the difference in the battery size on the left portion of the massagers. This means the real massager will hold an much longer charge than the fake version. 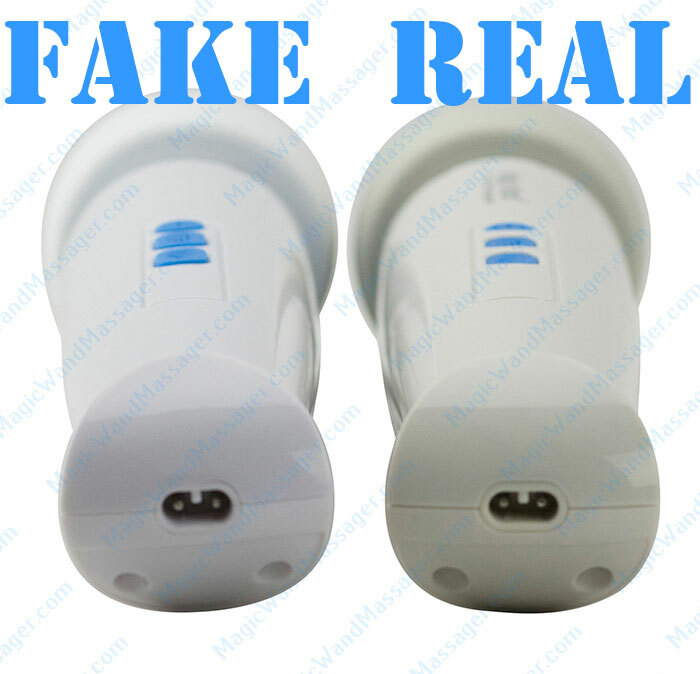 Last but not least, you can see the difference between the real vs fake magic wand adapters shown below. 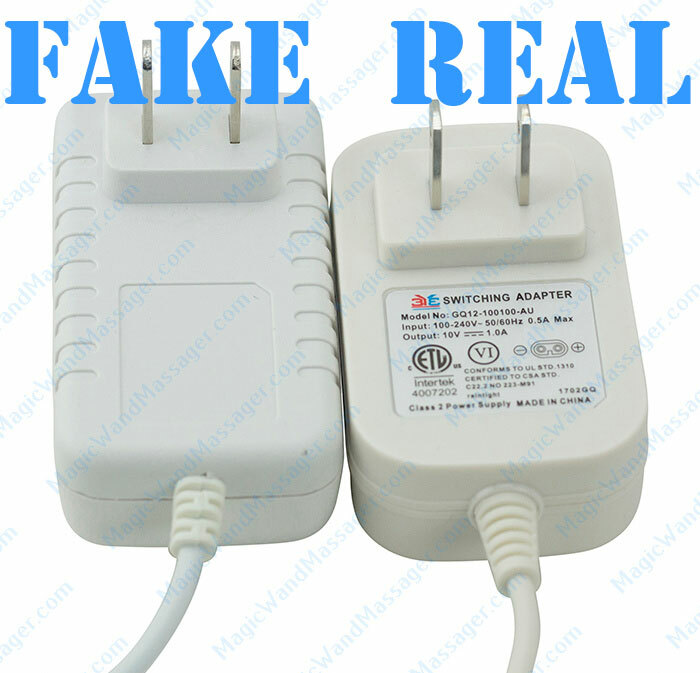 The real version obviously has nothing to hide and shows all the specifics on the charging adapter unit itself including the model number, certification status, input power and more. You should NOT put your Magic Wand Rechargeable in water as it is not waterproof and should not be used in the shower, bath, pool or any other water location. You should also never open up your Magic Wand Rechargeable just to verify authenticity or to attempt to fix something that sounds broken Doing so will void your factory manufacturers 1-year warranty and you will not be able to get a replacement should anything malfunction with the device. As mentioned earlier, all authentic Magic Wand Rechargeable massages come with a user manual which includes details on how to use the 1-year warranty should you ever need it. There is no pre registration process needed to use the warranty. All you need to do is make sure you have your proof of purchase from us and you have had the device for under a year. Chances are that if you read this whole article, you were curious and interested in getting one of these fine devices and DID NOT want to get a replica. We hope you found this article helpful and appreciate your support in purchasing this device from us as an authorized Magic Wand Rechargeable dealer. If you have any questions on this article and need more help, just contact us as are more than happy to help. 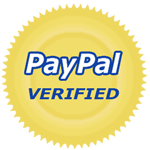 If you are ready to purchase a 100% real cordless magic wand, you can buy one here with free Priority Shipping in the United States. Previous post: What Makes The Hitachi Magic Wand Massager So Great?